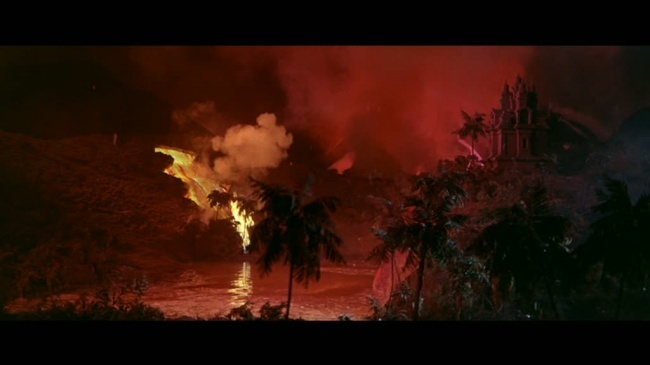 KRAKATOA, EAST OF JAVA—-blew up when it showed up, in 1969. 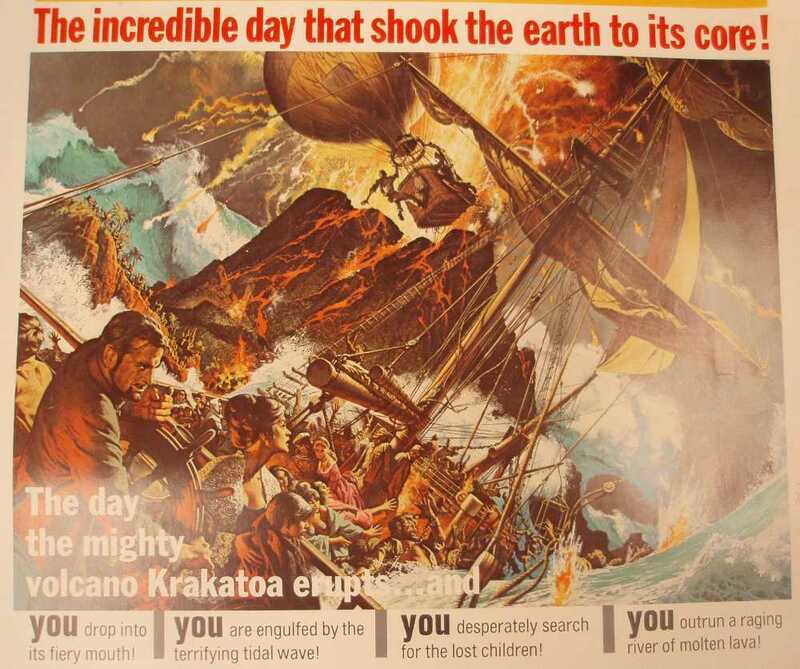 Along with their infamous geographical re-arrangement of Krakatoa, director Bernard Kowalski and his writers managed to totally trash what could have been a great adventure epic. They induced Maximilian Schell and Brian Keith, two normally fine actors, to turn in the worst performances of their careers. 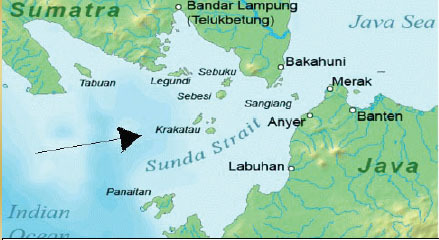 Schell captains a freighter, cruising 1883 Indonesia looking for sunken treasure. 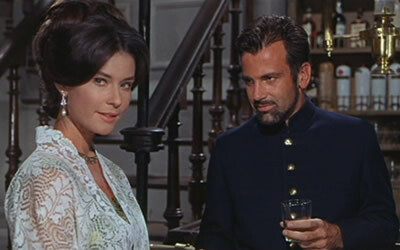 On board are a former mental patient (Diane Baker), a laudanum-swilling deep-sea diver with bad lungs (Keith), a shady songstress (Barbara Werle, girlfriend of the guy conveniently running Cinerama, who also stuck her into Battle Of the Bulge ), another diver–this one with claustrophobia (John Leyton), and a pair of father & son balloonists from Italy (Sal Mineo and Rossano Brazzi). Add convicts, several scantily clad Japanese diving girls, and a crew of mutinous scum. Throw in some nuns and orphans to rescue (why are so many of the same occupations always in the way of volcanoes?). The dialogue is infantile and the plot confusing, even with trimming from the original 166 minutes to 140, and even more so if you see the further chopped 101 minute edition. Whichever you catch, it’s a laughable stinker, with only the final half-hour offering anything commendable. Kowalski’s direction is inept, best reflected in the responses of Schell and Keith. Schell plays with one expression (it looks like contempt) throughout, even when the camera hits him with closeups that practically go right up his schnoz. Keith has a scene where he hallucinates on too much laudanum and goes berserk that’s a mini-classic of Bad. The finale, also known as ‘the good part’, when the World’s most notorious volcano blows and creates a tidal wave, is impressive enough, though some shots of hurtling boulders are used over & over. The color is gorgeous–credit to Manuel Berenguer on the camera, and the sound effects are really neat. Too bad the movie fails in every other area except camp. Nah, I can’t agree. I find this movie fascinating. It’s so over-the-top — what’s not to like? Goofy pop songs, hammy acting, Brian Keith as an old salty sailor strung out on laudanum, gorgeous Diane Baker sweaty and hot, nubile diving girls, all while the clock ticks down to the big blow up. Great fun! Everything a disaster movie needs, right down to the wacky geography of the title. See it with a bottle of rum (o laudanum) and it’s a royal hoot and a half. Ka-BOOOMM!! !